Dive into the Heart of Yoga. Explore the spiritual heart of yoga through the practice of Bhakti Yoga and learn about the path of Karma Yoga with study of the Bhagavad Gita. 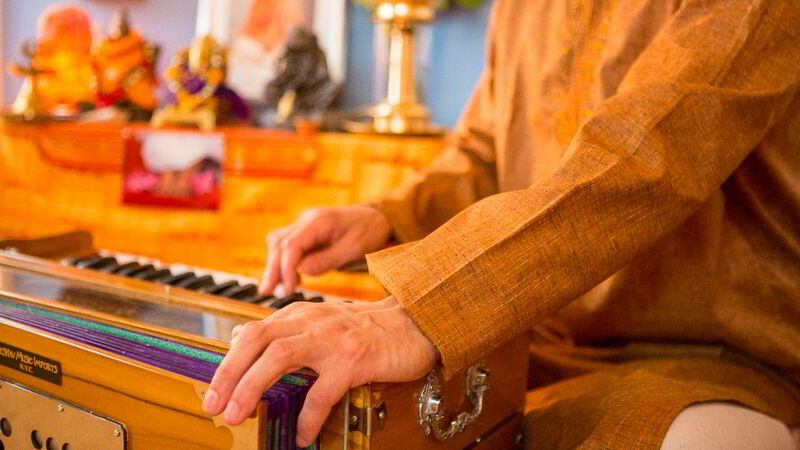 This module features an experiential and philosophical exploration into the path of Bhakti Yoga through kirtan, mantra and talks on this branch of yoga. A study into the basic structure and key verses of the Bhagavad Gita exploring karma yoga is also a focus of this module. 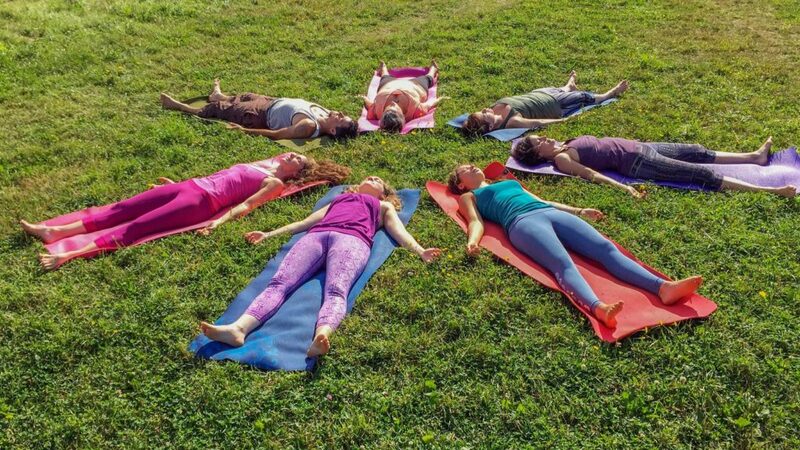 Each day begins with an asana and pranayama class to open the body. Following this there are two daily lectures delving into the Bhagavad Gita. This course focuses on how participants can apply the classical teachings of the Bhagavad Gita to modern life. Each afternoon includes a heart-opening kirtan (chanting) session and stories from the Bhakti Yoga tradition. 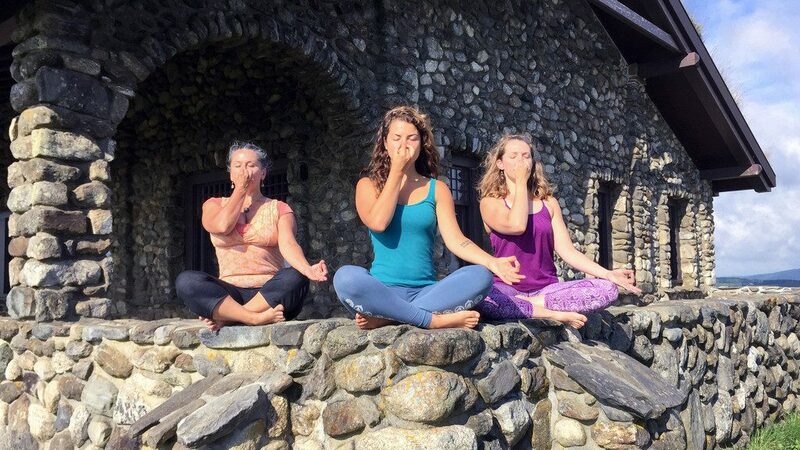 This intensive is ideal for yoga teachers or experienced practitioners who are ready to play in their hearts and are looking to develop a deeper, experiential understanding of the paths of Bhakti and Karma Yoga. Each day includes a 1-hour lunch break. Registration: To register, submit the application below. Continuing Education Credits: 30 CE hours are available for RYT’s with Yoga Alliance for the Mantra Yoga Intensive. Please notify us before the training if you wish to receive CE’s. Advanced YTT Credit: This course is available for credit towards the ShivaShakti 300-hour Advanced Yoga Teacher Training. Application Deadline for September 2019 Course: September 20, 2019. Step 1: Fill out and submit the application below or contact us to receive an application by mail. Step 2: Once an application has been submitted, you will be redirected to a payment page. Please submit full payment for the course. Once your application and payment are received, your application will be reviewed. An application will not be reviewed without payment. Step 3: An acceptance packet, which includes additional information about the training will be e-mailed to the applicant within 2 weeks after the application and deposit have been received. Please only submit an application if you are seriously planning to attend if accepted. Thank you. ShivaShakti School of Yoga does not discriminate based on gender, race, color, religion, sexual orientation, age or body shape. Check out the ShivaShakti Yoga Nidra recording available on CD Baby, Amazon, & iTunes!